Sugina Miki Work Collection Nuregarasu is a collection of illustrations from all the Innocent Grey games that have been made since 2005. I found the "work collection" part of the title a little suspect and worried there would be excessive amounts of re-printed game CGs. 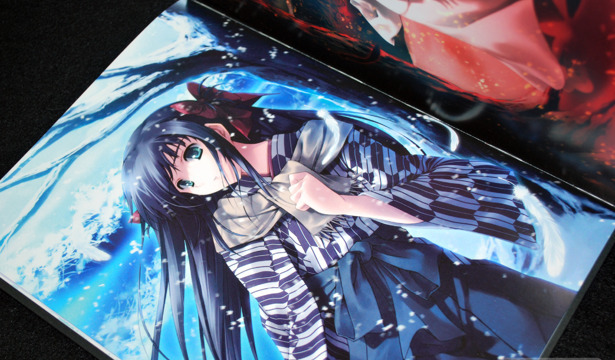 But I'm pleased to say the book focuses on the high quality promotional art works used for various magazines along with including several pages of Sugina Miki's original illustrations.